A Maple Run Unified Team made up of two students from SATEC and two from SACS did a presentation to the MRUSD Board about Vermont 3D Town History Competition. They competed against 14 other teams and placed second. 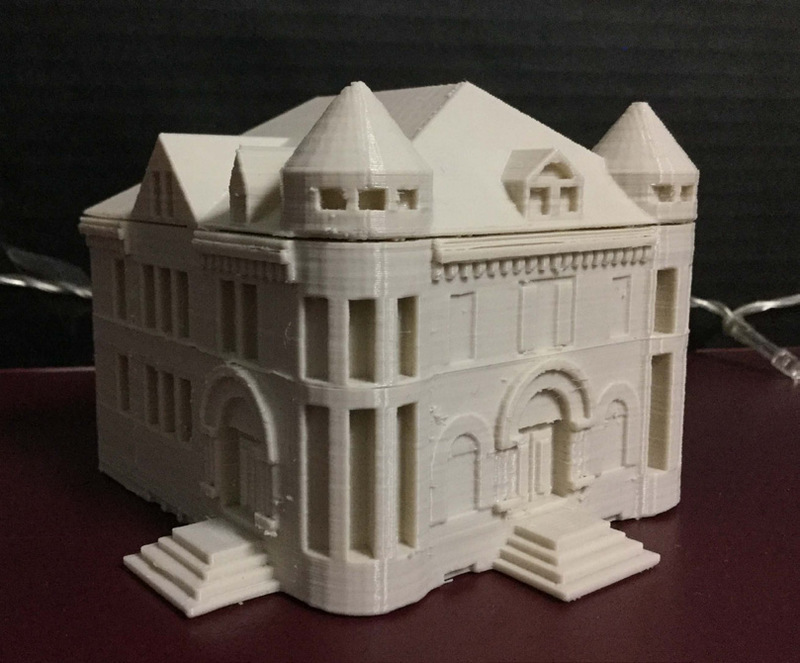 The annual competition combines historical research with 3D modeling and printing. 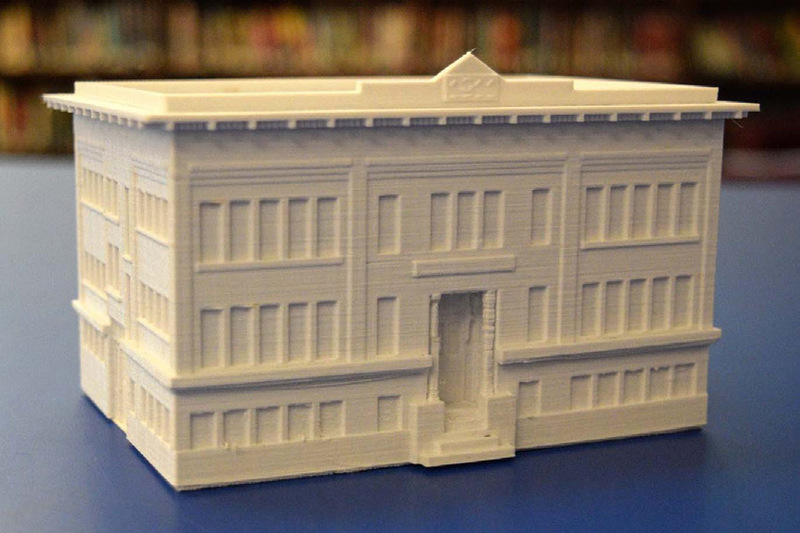 Each school selected a building for their focus: The Old Post Office and Court House Building, and the Fairfield Street School models shown here.